The Lifestyle Freedom I Have Known Since 1975 Has Been Fabulous!! Lifestyle Freedom!! Time Freedom!! Want to join the fun? Green Living! Green Career! Helping our Planet, one household at a time! If a totally Green Life is what you'd like to pursue, this terrific 2-minute Living Green video is a MUST-SEE! And WHY is this amazing company so different?? I love horseback riding! I love beadwork, gardening, hiking, visiting friends, being a home-body. Excellent health EVERY day! Another great blessing -- helping Many Charities & Ministries around the world so they, too, can make a difference in their corner of the planet! WHAT IS YOUR PASSION FOR YOUR LIFE? World Travel? Working From Home? Better Health? Lifestyle Freedom? Animal Rescue? Sports? Missions Field? Visiting Family? Sending Kids to the Best Schools? Literally ANYTHING you love and want to pursue can be yours by simply changing brands, helping others to do the same thing, setting Exciting Goals, and Dreaming Big! How fabulous would it be to get involved with a company whose CEO recently stated -- I am very excited about our goal in 2009 to provide an opportunity for one million families to dream again, to get on a path toward financial independence and to have both the hope and the means to achieve a better future. WOW!!! If you are a career person, or have a job, can you pass Lifestyle Freedom on to your children, their children, and ALL Future Generations?? The answer is most likely No. But in Social Marketing, EVERYTHING you build and create today will bless your family for all the generations to come! Want to work with a Company With A Heart?? This is just one example of what the company and it's leaders do for those of us ''in the field,'' and it has happened time and time again over the decades I have been with them!! ONE SMALL EXAMPLE of how these products have Changed My Life!!! As a child in Colorado Springs, I sold Daddy's honey out by the road, and experienced my first lifestyle freedom! In those days, we could ride our horses all day long, never worrying about car traffic or strangers--more freedom! After graduating from Colorado State University in 1969, I did some traveling to Europe, the Canary Islands, and Northern Africa with my college roommate, and returned to Ft. Collins, wondering what I really wanted to do with my life. 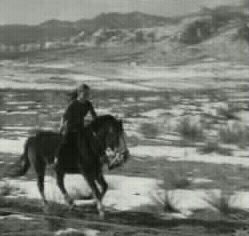 Then came the move to New Mexico to caretake a ranch near Cerrillos. Should I pursue the teaching field, my college degree? Or the science of my college education? Or the medical field of my Daddy, Roger Whitney MD? He was the MD for Colorado College, but also had his own patients. He, too, enjoyed independence. I knew that pursuing ones' passion was a very important part of a Fulfilled Life. I wanted to do something I would love every day of every year, right up to the time when the Lord takes me Home. No working working working and then retiring; why not work and play each and every day of our lives, and MAKE A REAL DIFFERENCE in this world? Living in Harmony With Nature & helping the environmental health of the entire planet--that was my passion! What career path could fulfill this desire? I had not heard of MLM back then, nor of network marketing. When a friend told me a little bit about the dream of one man and his two sons to help the entire world have great health and financial freedom, I instantly got excited and knew this is what I would do for the rest of my life! This opportunity came my way in 1973--two years later, when I was 28, I started looking into the possibilities of turning this fabulous opportunity into my life long passion. If I could only tell each and every person on this planet what a marvelous blessing this lifestyle freedom has been!!! Here I am in front of my first Santa Fe office, with my first Bonus Car!! Thankfully, I can now do my entire business from the ranch! Working from home is the best life ever!! Freedom, freedom, glorious freedom! 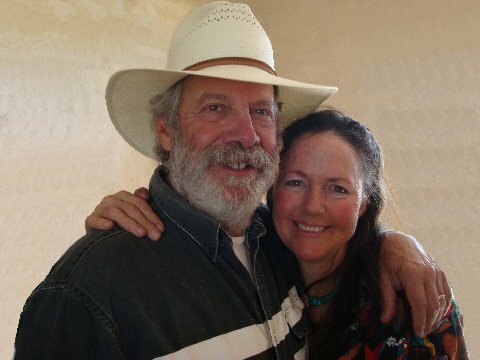 My very cherished friend Carol and I sure had a great time sharing an office in Santa Fe...but she, too, chose lifestyle freedom! Lifestyle Freedom--- I have been Blessed beyond words, and would SO LOVE if YOU would join me!!! Today we know this path to lifestyle freedom as Social Marketing. We have Facebook, My Space, Google, Yahoo! Buzz, and on and on..... People are looking for People Connection again!!!! What a better way to connect than with sharing a lifestyle that is already impacting millions of people around the planet!! Better health for everyone!!! Lifestyle freedom for anyone!! Tom and Annie, feeling fabulous in our 60s, loving our lifestyle and time freedom to the fullest!! And now, on our way to feeling 25 years younger---we are taking our Life Extension Resveratrol Super Grape Tonic---which is definitely helping us feel better than ever!! Please share your great story!! We'd love to hear your story, do tell!! !